Many attorneys have successfully hung their own shingle, but it can be daunting to do this on your own. Part of the appeal of BigLaw is that someone else will make the big decisions for you. But this also means micromanagement and other crimes against your independent nature. Here are a few tips to remember as you begin your own solo practice. Creat a Game Plan: Even if you speak in very general and vague terms, having a game plan will keep you psychologically motivated to continuously work toward the goal of creating your own solo firm, "You, Esq." Don't worry about having the exact details down yet -- fill that in as you go along. Virtual Office or Rent? : Cultural attitudes and needs of clients have changed substantially over time. 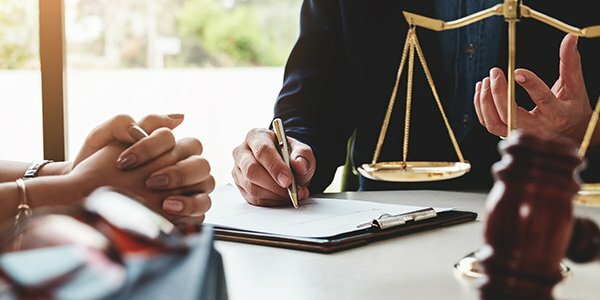 Now it is acceptable for attorneys to have a virtual office, and it is almost necessary for almost every attorney to have at least minimal online presence. Find a Mentor: Experience is very valuable. A great attorney once said, "Life's too short to learn by your own mistakes." And in the law, that can be especially true. Look for a mentor. All else being equal, your best chances are searching for someone who has extremely similar interests to you. With any luck, you may also find a friend in your mentor. Getting Paid: Attorneys now accept credit card payments. In fact, we previously wrote that it is probably in attorneys' best interest to accept credit card payments despite the vendor fees. Instead of $100 maybe tomorrow, you'll take $95 definitely today. And that capital you'll need to survive some rough months. Pound the Pavement: Ethics forbid you to go out and solicit clients when clients, but you can definitely go out and make your presence known at various local social functions. These days, making sure you show up on Google and the various lawyer directories like FindLaw's.